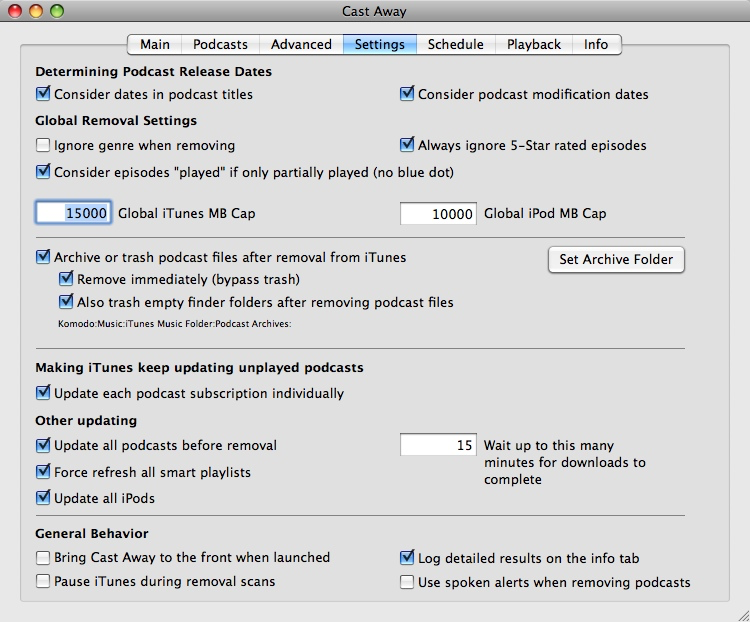 In additional to scheduled removals, you can remove podcasts at any time. 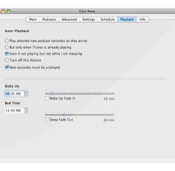 The auto-playback queue can also be reset whenever you like. 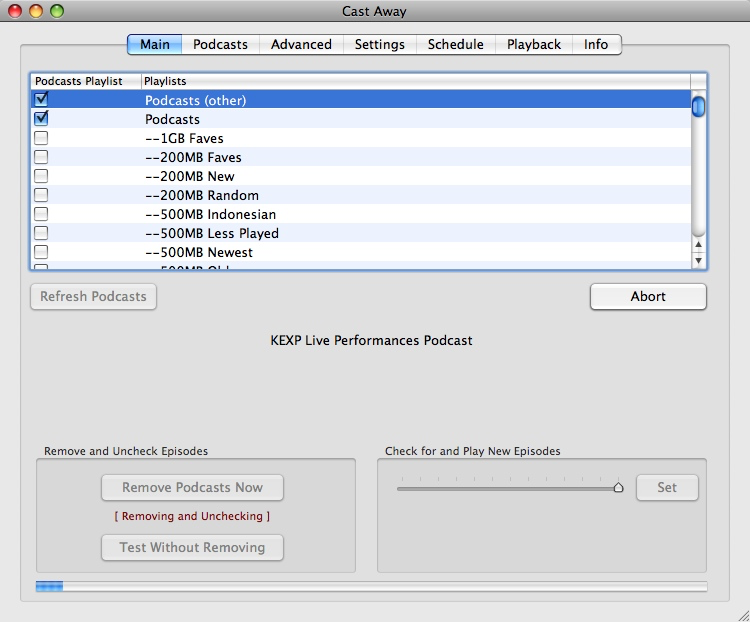 Removal and auto-playback settings for each podcast can be fine-tuned. 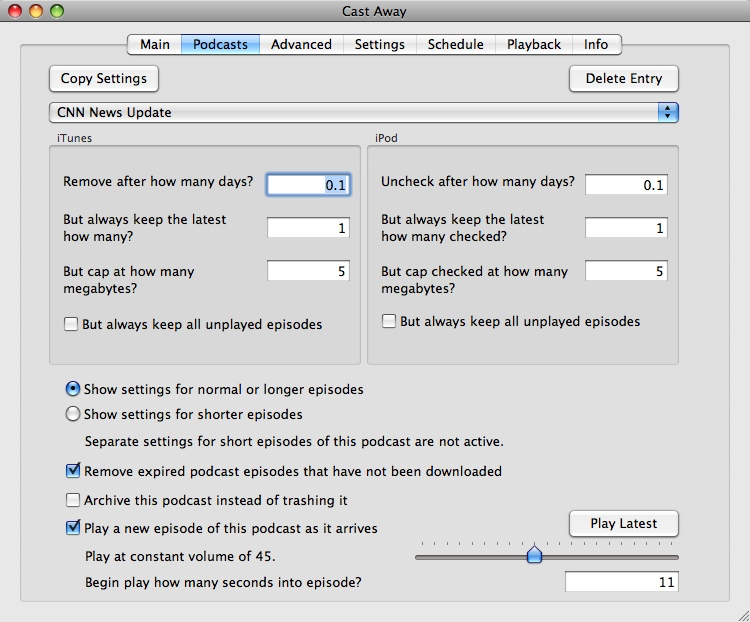 Cast Away can handle what podcasts you keep in iTunes and what you keep on your iPod separately. 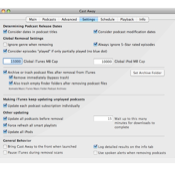 Cast Away's global settings are flexible, and it can even make sure all your podcasts continue to update even if you have not played them. 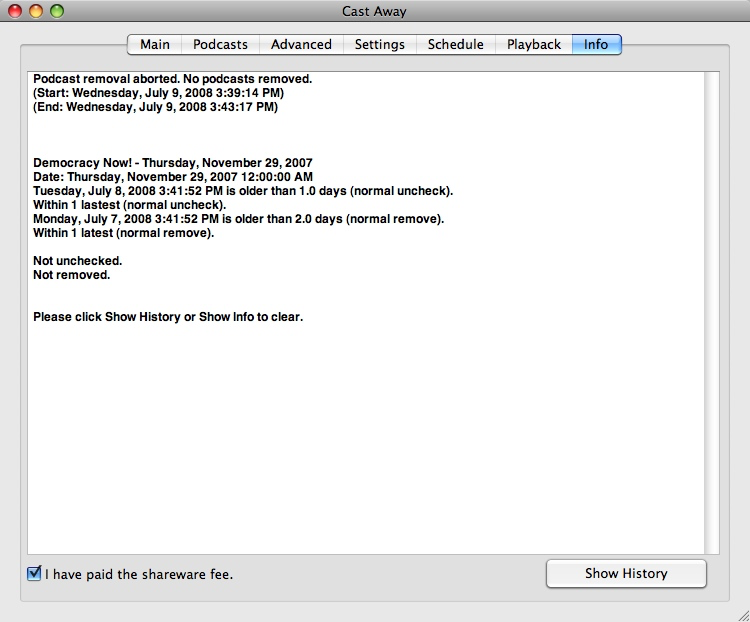 Detailed information on which podcast episodes were removed and why is shown on the info tab. 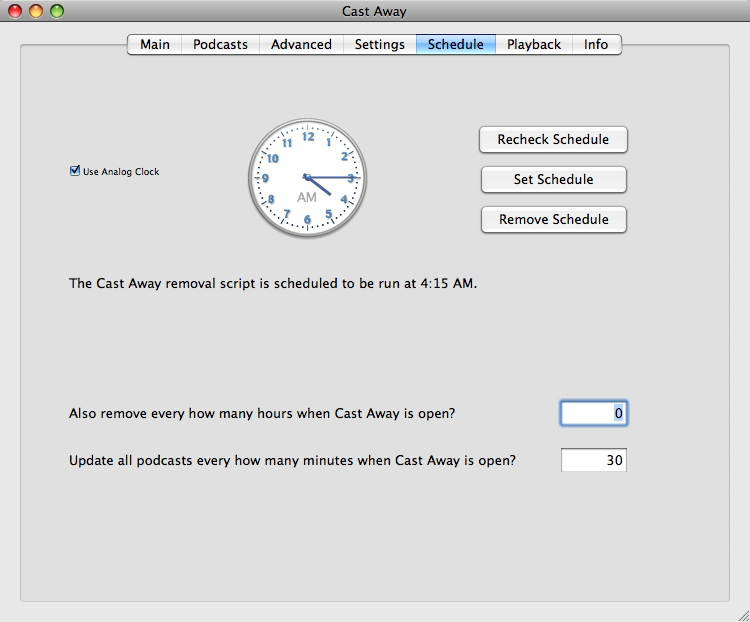 Podcast episodes can be scheduled for removal, and Cast Away will launch at the designated time, without needing to be open first. 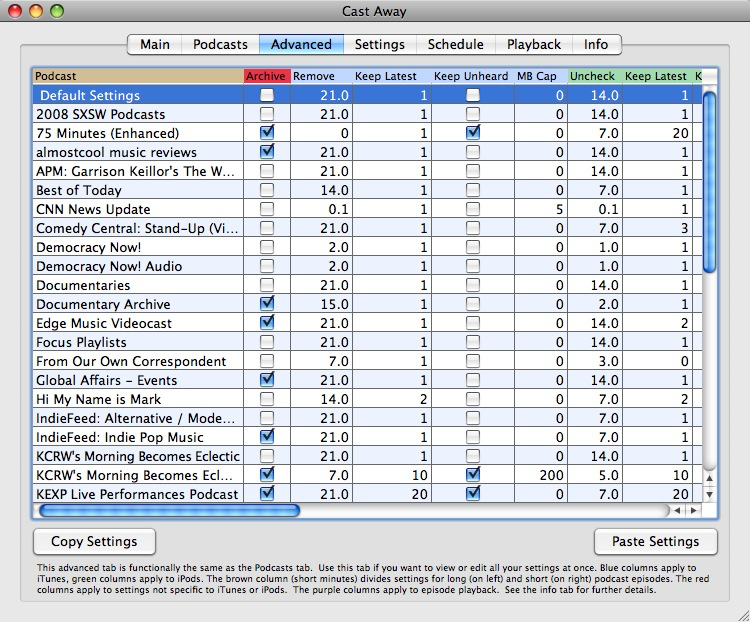 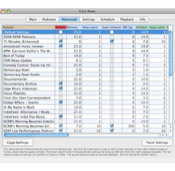 Advanced users can view and modify all their podcast settings at once. 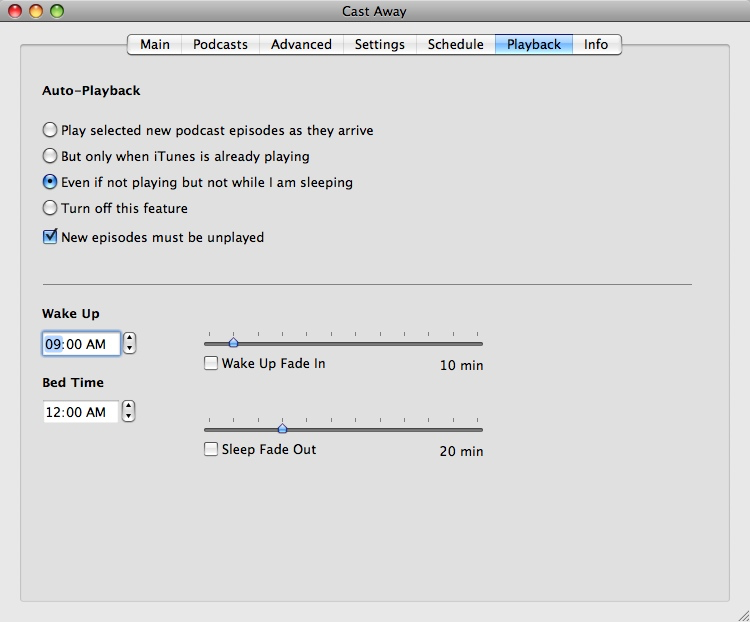 Cast Away can play new podcast episodes as they arrive, under the conditions you choose. 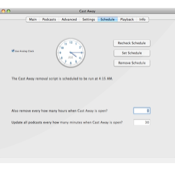 A mini floater window can show both auto-playback and removal status.